Sebastian Vettel says he is “very happy” to see Valtteri Bottas record his first F1 race victory in over a year. Sebastian Vettel says he is “very happy” to see Valtteri Bottas claim his first Formula 1 race victory in over a year at the season-opening Australian Grand Prix. Bottas took three wins during his maiden season with Mercedes before a tough winless campaign followed, but he bounced back with an emphatic performance in Australia to seal his first victory since the 2017 Abu Dhabi Grand Prix. The Finn, who now leads the drivers’ championship for the first time in his career, had vowed to return with a stronger mindset for 2019 and promised to become a “better version” of himself. Asked if he had noticed a change in Bottas since last season, Vettel replied: “I like him. I’m very happy for him. He’s a very decent guy. “I don’t think he’s any different, I think he always had the speed. Obviously last year didn’t go well for him for many reasons but I was very happy to see when I was told that he won the race. 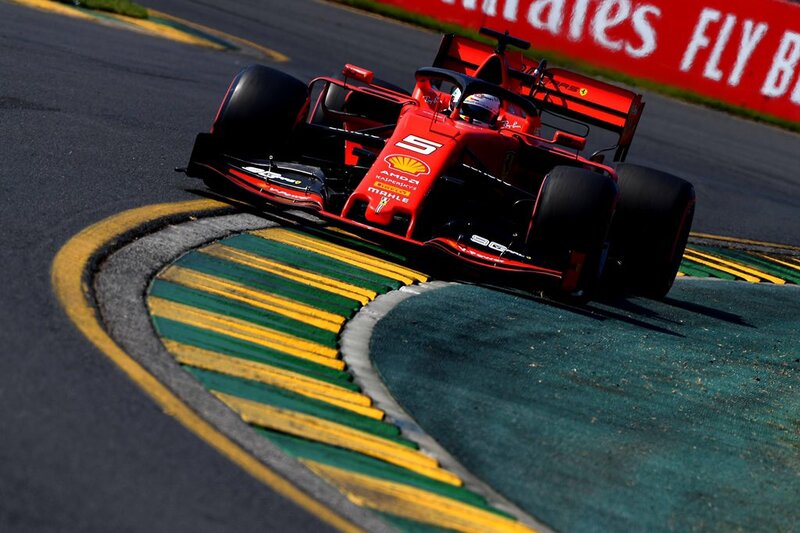 Despite being tipped by many as the early favourites heading to Melbourne, Ferrari struggled to match Mercedes throughout the weekend, ending up 0.7s down on Lewis Hamilton’s pole time before both cars finished nearly a minute behind Bottas on Sunday. Vettel made a relatively early pit stop in Ferrari’s attempts to gain position but struggled to keep up with his rivals in the second stint and was passed by Red Bull’s Max Verstappen before settling for fourth, just ahead of new teammate Charles Leclerc. “The whole second stint, on the medium tyres wasn’t very strong,” Vettel admitted. “The first stint I was fairly happy. “So at this point as I said I’m not sure why but I’m sure there’s a reason so we need to get a little bit deeper and have a good look. But clearly there was something going on. “I didn’t have the same trust and feel in the car that I’ve had in the first stint so I was struggling with overall pace throughout the second stint and obviously at the end I was struggling really with tyres. Vettel added he was confused by Hamilton’s lack of race pace as he finished 20s adrift of Bottas. Mercedes later revealed the reigning world champion’s performance had been hampered after sustaining floor damage. “I don’t know what Lewis was doing, he was probably bored and not happy that he lost the start,” Vettel said. “I think it’s not the first race when he’s doing something just to go around. He was just playing at that point and I was told also on the radio that he was complaining about the tyres.